Happy May Day everyone! While we did not have bonfires or May poles, I feel as if this ancient holiday has great meaning for me this year. Today we officially say good bye to our old apartment and hello to our new life in our new home. We are truly closing the door on the cold winter. 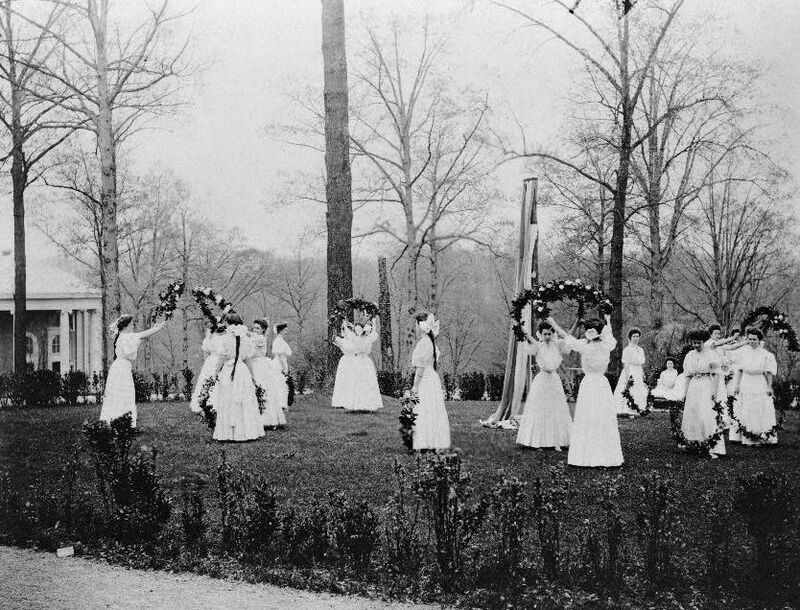 If I weren’t so exhausted, I would want to dance about like those ladies above on May day back in 1907. I would of course need a matching dress. It’s been a very full weekend. I made tons of cupcakes and a cake for Kevin & Kelly from The Vegan Collection’s wedding. It was lots of work, but it was so rewarding when we delivered them to see Kevin and family and friends setting up for the big day. The rest of the weekend has been spent moving the last of our things, which was a much bigger task than I imagined. On top of that, my car died so it’s been an even more inefficient process. I’m hoping it’s just the battery, but as my wagon is only a few miles away from the big 100k, I’m a little nervous it’s something worse. More bike riding for me I suppose. The highlight of the weekend though, was sleeping over at the Natural History Museum. We became fellows when we had our wedding there and have been trying to take advantage of as many of the perks as possible. It was an amazingly fun night, definitely one of the coolest things we’ve been able to do. Not to mention I am just completely enamored with the museum. I always have such a good feeling when we visit. Many things coming up on the blog in the coming weeks, including the rest of our wedding! Here is to new beginnings.